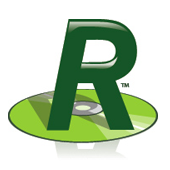 Reviewer is a software suite with a tool for every one of your needs. A range of editions within the same application meet the specific requirements of each functional group in your enterprise; from scanning requisition forms and importing new patient CDs into PACS to burning a CD for sharing; from the physicians network accessing images within the EHR to a system administrator needing the full spectrum of tools at their fingertips. Reviewer provides the intelligent solution to fit your needs!